Singer Chris Brown could be close to a plea deal with D.C. prosecutors over a 2013 assault charge. Court records show the R&B star was scheduled for a status hearing related to a plea in D.C. Superior Court Friday, but was unable to attend. That hearing has now been rescheduled for Tuesday morning. And new court records indicate Brown and prosecutors have a plea agreement in the works. A spokesperson for the U.S. Attorney’s office declined to comment, except to confirm that a status hearing is scheduled for next week. Brown’s attorney also did not respond to requests for comment. 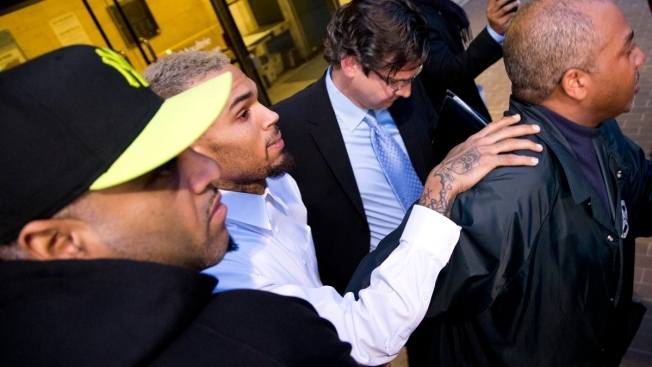 Brown and his bodyguard were charged with assaulting a fan outside the W Hotel last year. A judge found the bodyguard guilty, but he is appealing that conviction. Brown had been close to a plea deal several weeks ago, but rejected the deal and instead requested a trial. That trial was scheduled to begin Sept. 8. Brown's past appearances at the D.C. courthouse have been marred by large crowds trying to get autographs and aggressive U.S. marshals who closed down the sidewalks around the courthouse to allow Brown to come and go.